Kids love the outdoors which comes along with the sense of freedom and the exercise and fresh air is very good for them. Combine camping with kids and it gets even better. Younger kids love the anticipation of a camping trip. For teenagers the same can’t always be said, however various planned activities that your teenagers enjoy will be sure to create some anticipation. I'm sure most people have heard of stressful camping trips with kids, those stressful trips are more than likely due to not preparing properly, forgetting to bring important items and mainly trying to do too much in limited time. Never expect to see everything, even without kids there is never enough time to “do it all”. With some simple tips camping with kids can be very fun and provide lifelong memories of an enjoyable camping trip. Planning is the most important part of the trip. You shouldn't be leaving the house without a plan! When planning whether it’s an action/adventure, relaxing, sightseeing or all the above kind of trip don't expect to be able to cram everything in. A relaxed trip is far better than a rushed trip and kids don't like being stuck in a vehicle all day. Perhaps have some must do things and if you then find there is ample time go and enjoy any secondary plans. Also plan well ahead to ensure that enough days have been allowed for. 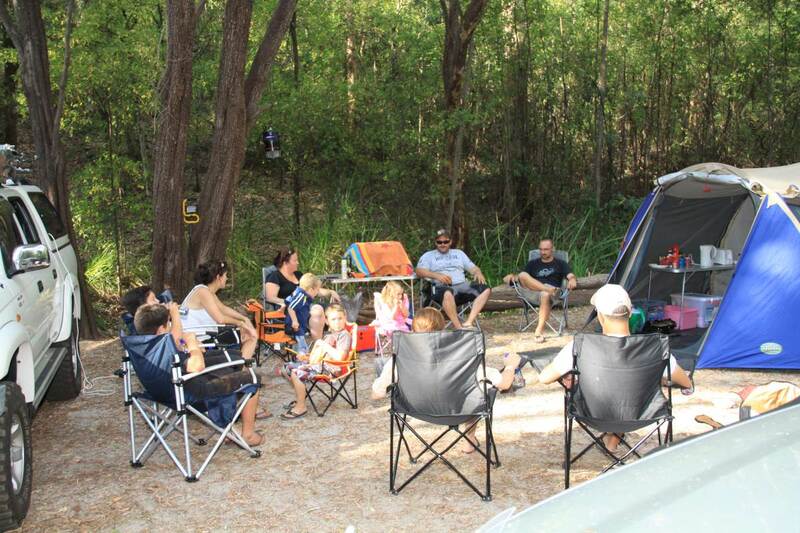 An enjoyable and relaxed holiday/trip will keep the kids and entire family eager for more camping adventures. A camping list is an essential part of the planning process, without a good list items will be missed out, left at home or just forgotten in general. Important items for a child could be a bottle, a favourite blanket, teddy or some medication. Leaving any of these items at home could really make a difference to the trip. Some items can be bought at your destination, however this is not always the case; there are limited shops in small towns and no shops on the beach or in the bush. Always set up the tent in the back yard before the camping trip, this way you will know how to and you will know whether any important bits are missing. Aim to arrive at the campsite well before it’s dark so you can see what you are doing, setting up a tent in the dark is frustrating. Keeping kids busy during camp setup is a great idea; the best way is to get them involved in helping setting up. 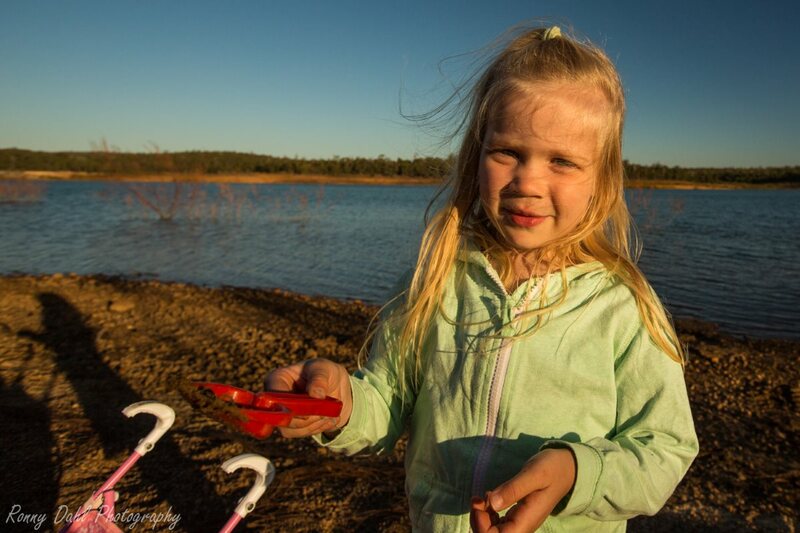 Start them out by handing out tent pegs and carrying small items, if they are older kids (4+) helping by holding the tent and with unpacking the vehicle will keep them busy. It will also give them a sense of achievement. Camping with kids is much easier with pre made meals or simple canned food. Pre made meals are best prepared at home before leaving by pre-cutting and mixing ingredients for fast cooking with minimal mess. Keeping it simple is the best way. Most kids love canned food especially spaghetti, pasta, cocktail sausages, fruit and baked beans. Another kid friendly favourite is 2 minute noodles. I don't think I've ever heard of a child not liking the above mentioned foods. A simple food solution will keep everyone more relaxed. Don't forget to bring some marshmallows for the fire. Make sure to clean up after the kids have been eating and drinking around camp. It doesn't take much food to attract ants and flies. Children love playing with torches/flash lights at night. Glow sticks will also keep them amused. At least one torch for every member of the family should be a minimum, having a few spare torches is even better. Going to the toilet at night is a bit hard to do without any light. Also spare batteries are very important to have in 3 different sizes, AAA's, AA's and C's, cheap brands are fine as spares. Spare batteries can be used for kid’s toys and torches should they run flat. 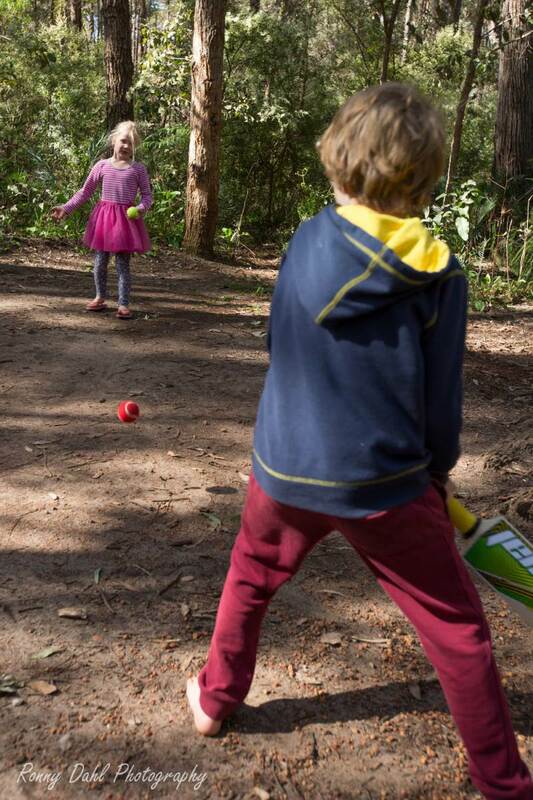 When camping with kids the best toys for outdoor play will depend on where you are staying. A plastic shovel and bucket set never fails to amuse children, a shovel set can be used anywhere you find dirt or sand, so anywhere literally. Bubble wands and kites are also great for outdoor play along with the obvious toys like balls etc. Just have a good think about what kind of environment your kids will be playing in. If in the bush or at the beach try to avoid bringing soft toys as they will get ruined easily, keep them in the tent for night time only or in the vehicle. Best to also bring medium or big toys as small toys will go missing and if your child should become upset about it you could be spending a long time trying to find these tiny missing toys. 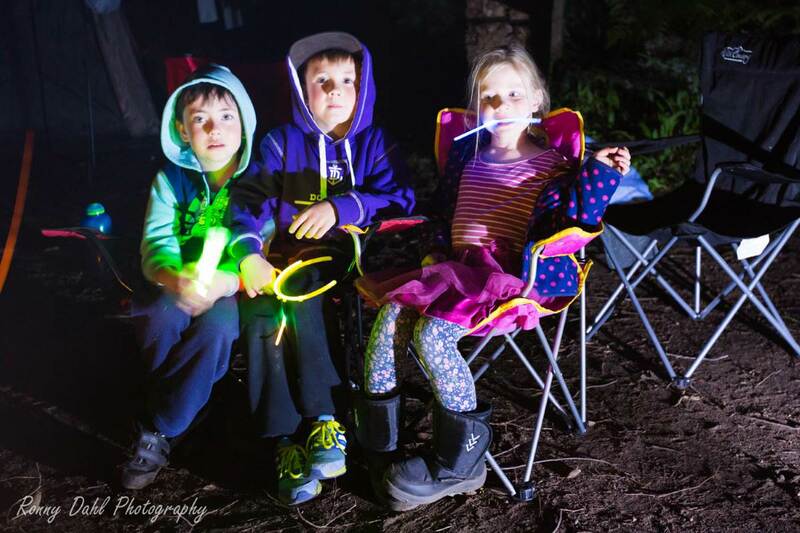 Glow sticks for night time are another child favourite; just make sure they are not of the poisonous variety. Poison free glow sticks are available at all good camp/outdoor stores. When travelling younger kids can avoid the routine lunch time nap as they will more often than not sleep in the vehicle at some point, even if they don't all that fresh air from the outdoors and the sun setting will usually send the kids off to bed early at night and there are rarely late nights while camping, as there is limited light. And usually the whole family is exhausted after a day of travel and outdoor play. Camping is different to your kid's usual routine at home. Bring your child's comfort toy or blanket for the night time; this should help your child sleep without any problems. See Camping with Children & Kids Hygiene. Have you got kids and are living in Perth? Here is a website I can highly recommend if you are looking for places to take your kids, it's all about playgrounds, entertainment, discounts and free stuff for kids. For more information see Kids Around Perth. 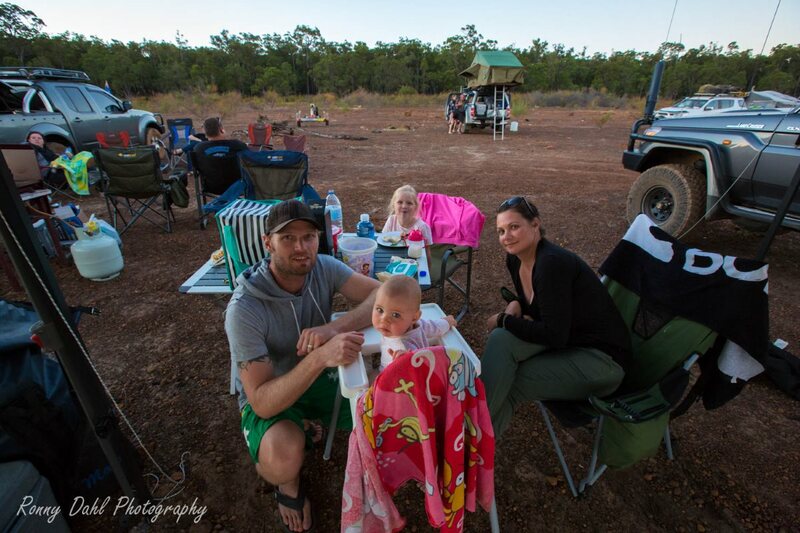 Leave Camping With Kids And Go 4 Wheeling In Western Australia.